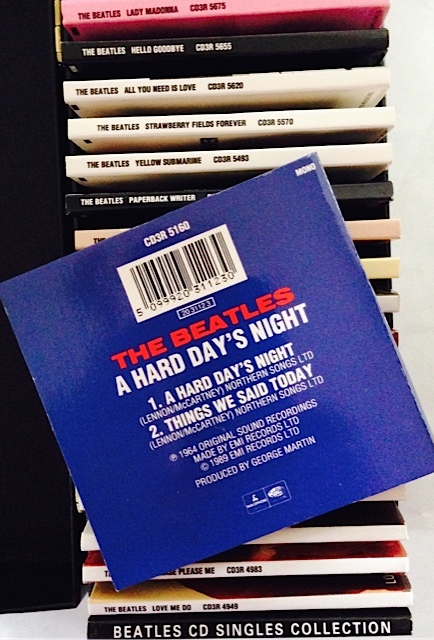 Over the years we’ve purchased a lot of pre-loved Beatle CDs (and vinyl) at online auctions (e.g. 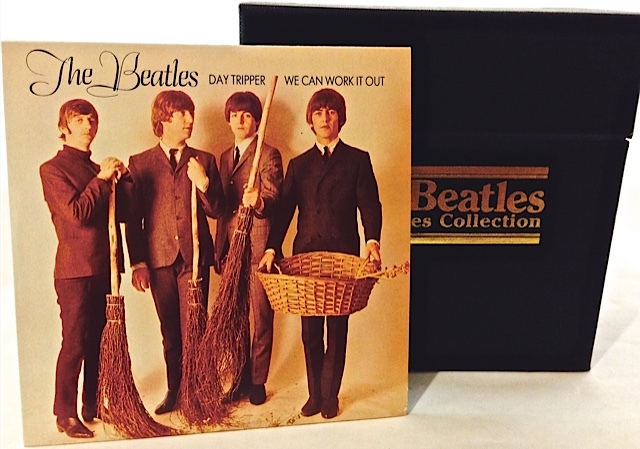 Ebay), but never before at a real, live auction – until now. 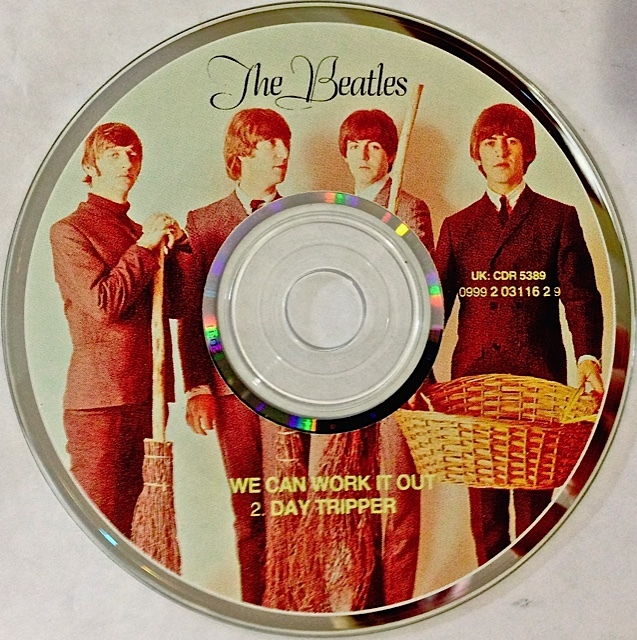 The Mossgreen Auction house in Melbourne, Victoria recently held a major sale of collectables. 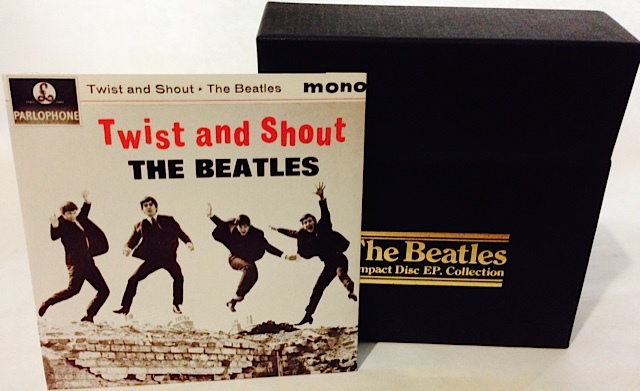 Part of it was a significant offering of Beatle items – memorabilia, books, records and CDs. 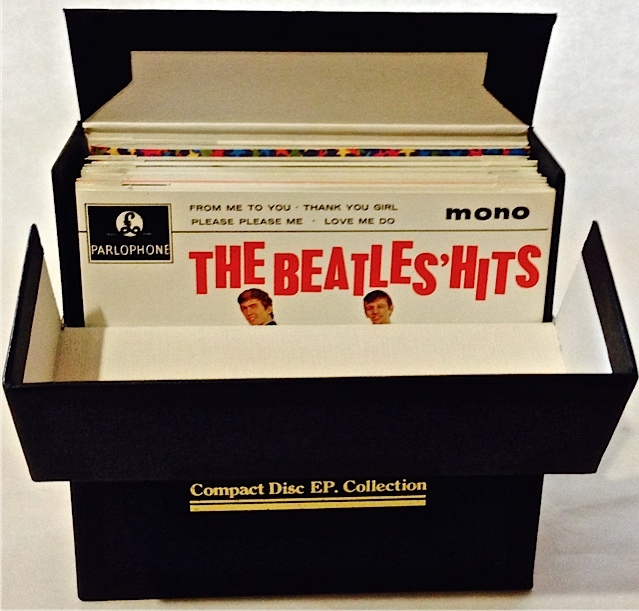 You can view the catalogue online (the Beatle items start on page 8 at Lot No. 715. They continue to Lot No. 836). These all came from one collector who was downsizing….pretty impressive. Figuring we’d take a chance we put a pre-auction bid on both lots. It was one of those auction sites where you could watch and also listen in live online as the auction actually proceeded. 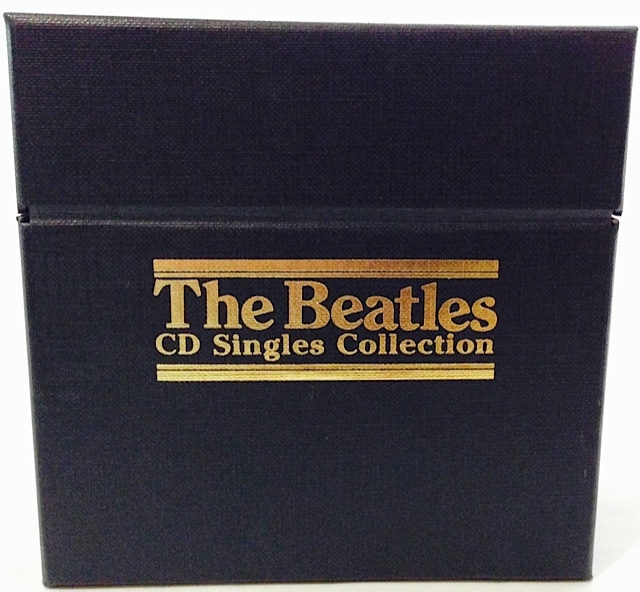 The auctioneer steadily worked his way to our first lot (for the 3-inch CD single set). We won it in quick time – with nobody else bidding at all. The set was ours. 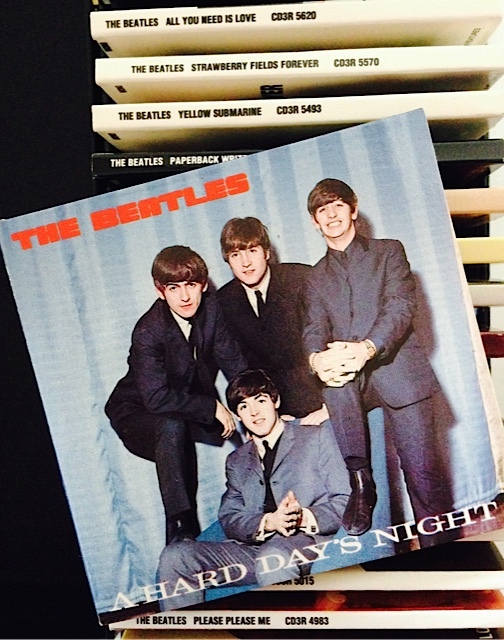 These 3-inch CD’s were also issued individually over a period of time (late 1988-1989), ut it’s nice to have them collected in one box. 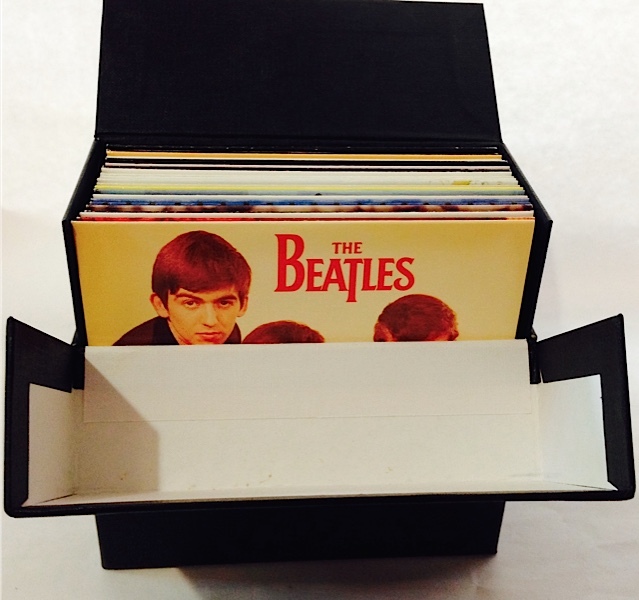 There’s a small black folder in the box detailing each single. Each of these boxes is in mint condition. 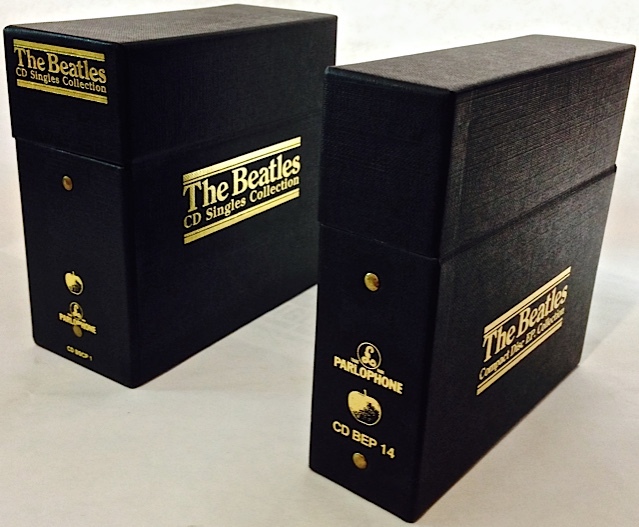 They’re both dark grey-black in colour with gold lettering and they’re hinged at the top. 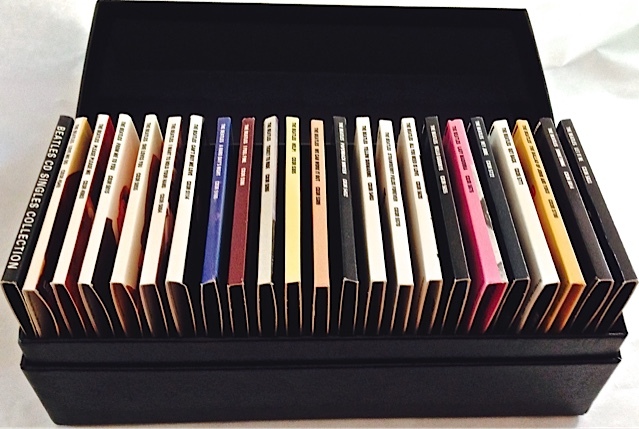 These boxes are quite beautifully made with a cloth-covered, thick board. In the photo above you can see the brass rivets holding them together. 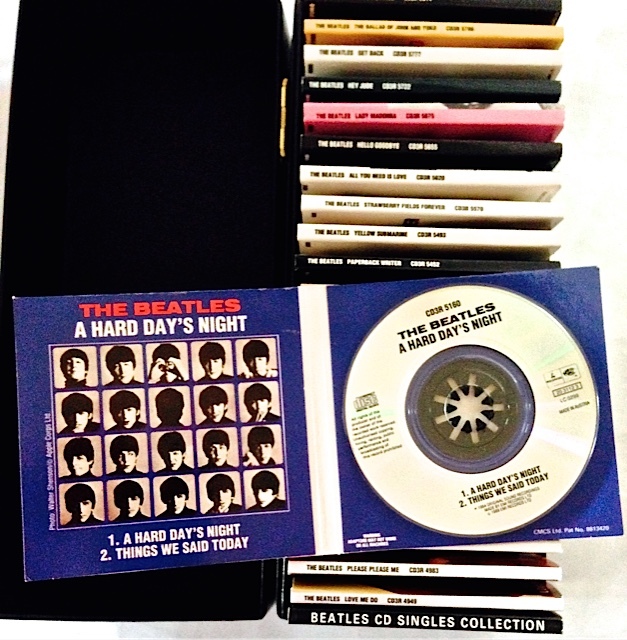 On the EP box the outer top tilts forward and there is a secondary flap inside which lifts to reveal the 14 CD sleeves (including a double CD Magical Mystery Tour): The 22 CD singles box is very similar: So, expecting to win maybe just one auction lot if we were lucky – we ended up with two! 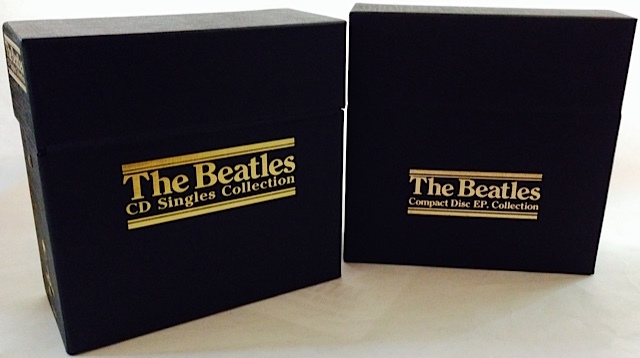 Three great CD box sets in all, and in mint condition from a Beatle collector in Melbourne who was selling off some of their prized items….. 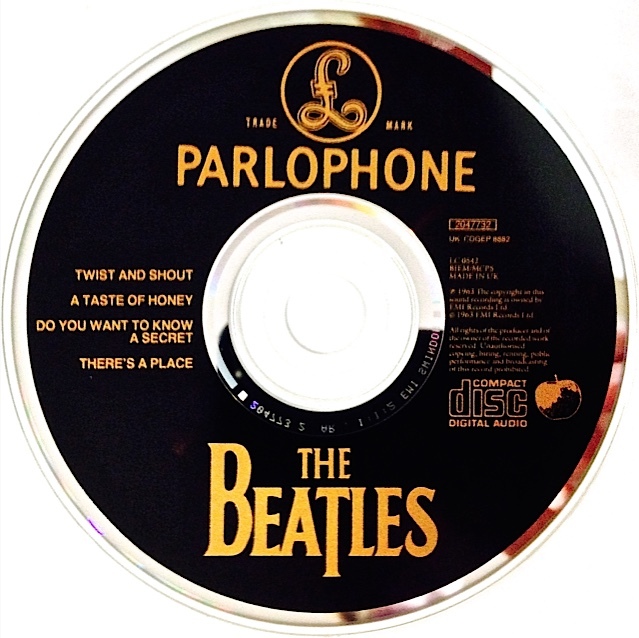 This entry was posted in Apple Records, Beatles, Beatles Books, Beatles Collecting, Beatles Music, Parlophone Records and tagged Apple Records, Beatles, Beatles Books, Beatles Collecting, Box, box set, CD Singles, Music, Parlophone Records by beatlesblogger. Bookmark the permalink.